Each time a song streams on an interactive service like Spotify, Rhapsody, Beats, Slacker, Radio etc the songwriter earns a royalty. Learn why, how much and why you may not be getting all (or any) of it. The following guest post comes from Jeff Price, the original founder of TuneCore and now founder/CEO of Audiam.com. Audiam’s objective is to get artists paid much more for the use of their music on YouTube. The distribution companies get away with this by claiming that they, not the artist, control the rights to the artists’ recordings for licensing into videos on YouTube. This allows them to take a percentage of the artist’s YouTube money for doing nothing. They pull off this financial sleight of hand due to the incredibly tangled, confusing, backwards and, in some cases, almost impossible to understand copyright laws and music business practices. Case in point. Distributors have never, ever controlled an artist’s right to license recordings into videos. This makes sense; the distributors’ role is to distribute recordings of music onto the shelves of music stores and then administer back the money from the sale of the music. Distributors do NOT license music into videos. As we are all aware, YouTube is not a “store”; music is not placed on a “shelf” and consumers do not pay money to buy music from it. These rather glaring facts are not stopping some distributors from sticking themselves between the artist and YouTube, taking a percentage of the artist’s YouTube money for doing absolutely nothing and adding it to their bottom line. If this does not yet make sense to you, it’s for a good reason. It’s confusing – and this confusion makes the unsuspecting artist vulnerable to being taken advantage of. There are two main ways to make money on YouTube. CHANNELS – How A Musician Can Make Money On Their Own Videos On YouTube. Next, you create an account at YouTube, called a “Channel” and upload your own video with your own music in it. You then tell YouTube to “monetize” your video with ads (this option appears in your YouTube account for everyone. No middleman needed). When the ads generate money, YouTube pays you about 55% of what the advertiser paid them. NOTE: This option to make money on your YouTube video is open to everyone; no middleman is needed. Let’s assume that as before, you wrote a song, recorded that song and made your own video with that song in it – like an official music video – and uploaded it to your own YouTube account (called a Channel). This time however, there is a twist; the artist used a distributor to put the music in his/her YouTube video on the shelf of iTunes, AmazonMP3 etc. Unbeknownst to the artist, this distributor also has a special contract with YouTube called a “Direct Licensing” contract. These “Direct Licensing” contracts are typically only given to larger music companies or distributors, not to individual artists or songwriters. These contracts allow the distributors to tell YouTube that they, not the artist, control the rights to the music of a song being used in videos on YouTube. In addition the “Direct Licensing” contract also allows the distributor to go into YouTube, find the artist’s own videos in the artist’s own YouTube account, have YouTube place ads on the artist’s videos and then (here’s the important part) have the YouTube ad money flow from YouTube directly to the distributor, not to the artist. (NOTE – these same “direct licensing contracts can be used for good by finding other people’s videos using the artist’s music and making the artist money off of those, something an artist cannot do on his/her own). Now that the distributors have the artist’s money, they take a cut of it before paying the artist whatever is leftover. They very misleadingly call the percentage of money they take from the artist’s YouTube revenue a “distribution fee”. Let’s be clear. It is NOT a distribution fee, the distributor did not “distribute” anything to YouTube. It’s a “we’re taking a piece of your revenue because we can” fee. What justification does the distributor have to get a cut of the artist’s money? Good question, and sadly there is not a good answer. The distributor did not write the song, record the song or create the video. They did not create the artist’s YouTube account or even upload the artist’s video to YouTube. And they certainly did not cause people to watch the video which generates the ad money. Finally, unlike other digital services like iTunes and Amazon, no middleman is needed; artists can go direct with YouTube and make ad money on their own videos themselves by simply uploading their video and clicking the “monetize” button. In other words, the artist writes a song, records the song, mixes the song, masters the song, shoots a video, edits it together, uploads it to YouTube and gets people to watch it based on the merits of the music and video. The distributor, which did NOTHING to cause these views, create the music and is not needed as a middleman to make money on YouTube, sits back and just takes a chunk of the artists’ money. Due to the complexities of copyright law and/or the artist not knowing they can just go direct with YouTube a chunk of the artist’s money is being taken by someone else. In other words, these distributors do it because they can get away with it. They don’t need to do this, they consciously choose to. Meet the new boss, same as the old boss. In this day and age, I can’t believe we still have to fight for an honest system. It really is not hard to give the artists all the money they are entitled to in a clear, timely and transparent fashion; you just have to want to do it. But let’s say they don’t want to do it, and they’re solely in the game to make a lot of money at any expense. These sleight of hand business models work against them. Each time a stunt like this is pulled, eventually someone else will step forward with a way to correct things and completely cut them out (just look at what happened to the old school music industry). As one example, in, 2005, I watched the artist needlessly have to give up their copyrights and a percentage of their money from the sale of their music in order to get it onto iTunes, so I started TuneCore (sadly, the investors in TuneCore threw out the three original founders and appear to no longer have the artist’s best interest in mind). Now, in 2013, I’m watching the distributors have the artist needlessly give up a percentage of their YouTube money from views of their own videos on YouTube. So I started Audiam (via Audiam, the artist gets 100% of the revenue from the views on their own YouTube videos and also makes money on other people’s YouTube videos). Can’t the new music industry take a moment and look at the past and learn from it? If you screw the artist, eventually you are going to get cut out. Yes it’s easier to just take money by hiding behind the complexities, but if you truly want to create a great long lasting business of value, it’s going to take innovation and hard work. You actually have to create something that makes money predicated on real value, not on smokescreens and sleight of hand. Change the model from exploiting the artist to serving the artist and we all win, both financially and morally (and maybe you can even sleep better at night). In the meantime, can you just cut it out? Stop taking the artist’s money needlessly, its hard enough for them as it is. The biggest networking event of 2019! Saturday Feb 9th You think you ready? 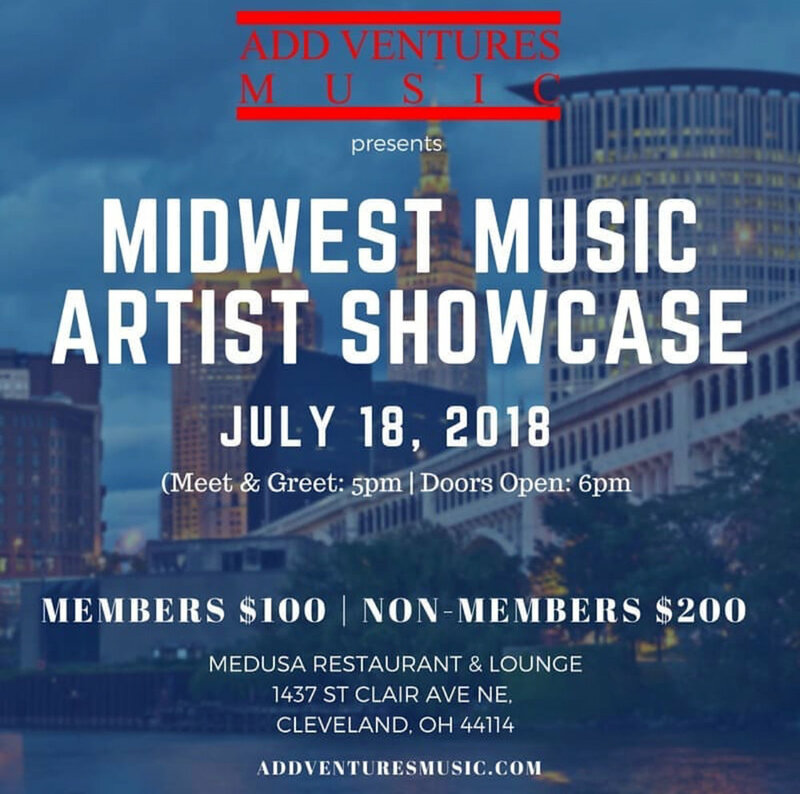 Record Labels, Executives, Managers, Promoters, Tour Managers, Producers, Artist, Radio, TV, News, Videographers, Photographers, and more... @ishouldbesigned register now.!!! www.ishouldbesigned.eventbrite.com or call (301) 775-7759 or 202-725-0632 for info. We will be launching and redesigning our website. Stay tuned for the new site coming soon!